As a seven-year-old boy in 1960, there was only one thing I wanted to be when I grew up – an astronaut. Oh, sure, policeman and fireman were always options, but this was the era of space. Astronauts were the coolest guys on the planet – cooler than Elvis – and just a few years later – even the Beatles. They were smart, brave, and true Americans, the tip of the spear that would beat the Russians – our clear adversaries at the time – to the Moon. But the rest of that spear consisted of hundreds of thousands of other Americans (and, in fact, beyond) that would ultimately make it possible for that astronaut to be launched into space, survive there, accomplish the mission, and return safely to Earth. 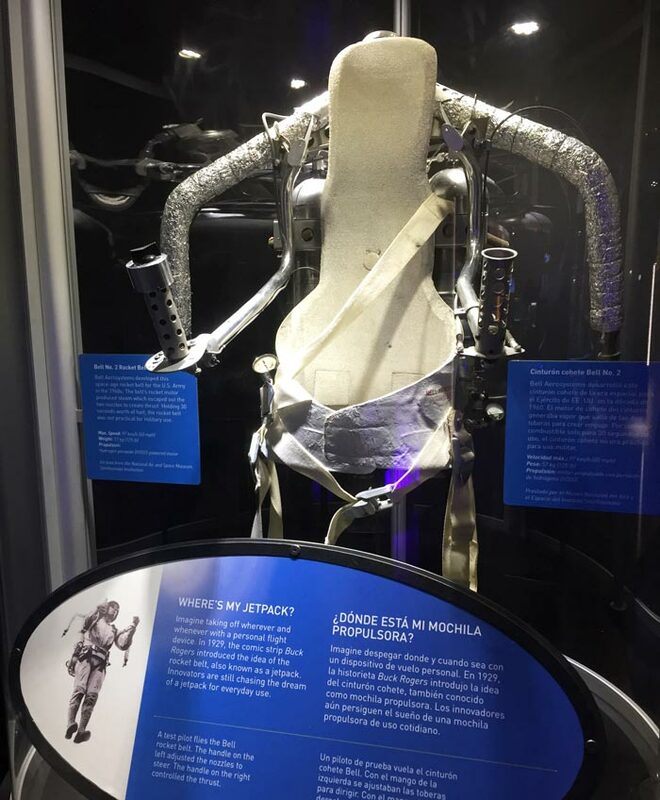 A story told to me some years ago at Cape Canaveral was that, when President Kennedy made his famous speech announcing his belief that America should indeed go to the Moon, Dr. Werner von Braun, whose monumental presence will shortly return here, told him, “Mr. President, with all due respect, we don’t know how to do that.” “Well, Werner,” the President allegedly replied, “now you know what you’re going to be doing for the next few years.” And just a few years it was – despite horrendous and tragic setbacks along the way, America did indeed land astronauts on the Moon in 1969, and they did indeed return safely to Earth. Six missions in total landed on the Moon, with one additional “successful failure” making the effort as well. No Americans lost their lives in space in these early days of spaceflight, again here noting the loss of three of the bravest in the Apollo I disaster, thanks in large measure to the tireless work of many amazing engineers. Before the adventure herein related began, I’d been to almost all of the major NASA centers around the country except Stennis in Mississippi (a test facility, but with an interesting visitor center regardless – it’s on my list) and Huntsville, Alabama (I’d also never been to Alabama; now the only states remaining unvisited by me are Arkansas and North Dakota). But my visits to the other NASA centers were always for work and never as a tourist, this despite many, but not all, of them having very fine visitor facilities that serve important educational, historical, technical, and even advertising, marketing, and entertainment missions. Regardless, if you are a techno-nerd like me, or a history buff, or at the very least one who likes to be awed by large, complex, unique machines and structures, then NASA has some roads for you to unravel. 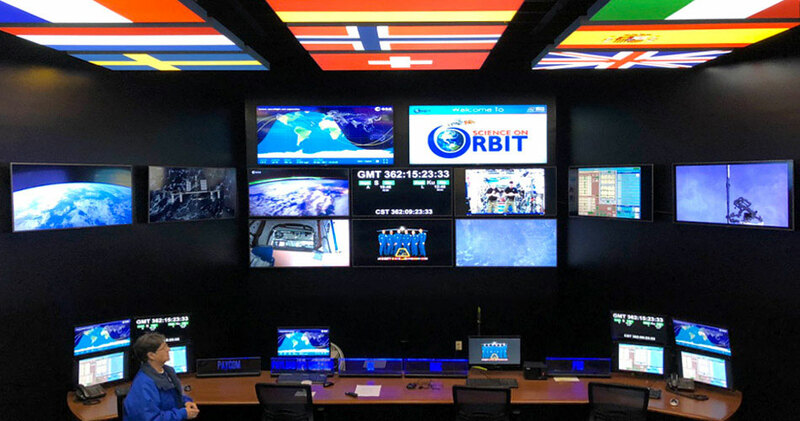 Each NASA center has a general mission – Ames Research Center in California does fluid dynamics, the Jet Propulsion Lab does deep-space probes, and Goddard Spaceflight Center does near-Earth satellites. Houston is, of course, manned spaceflight, and Glenn does propulsion, biomedical, and (my area of expertise) communications. 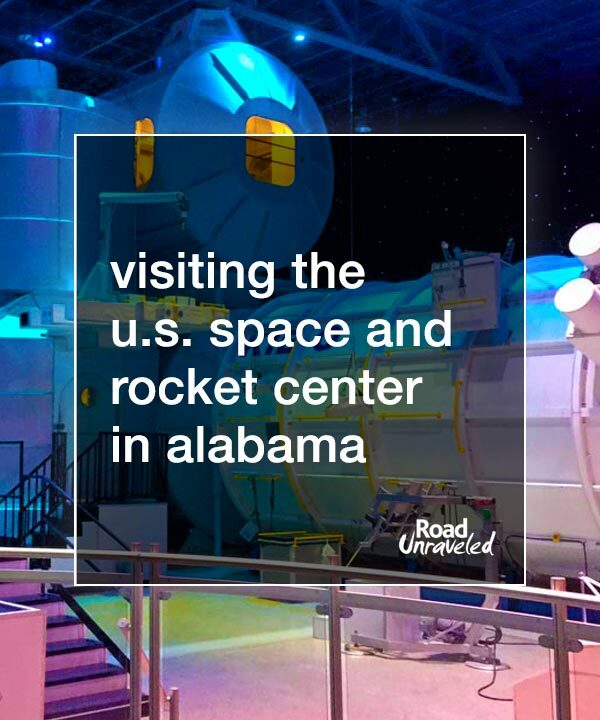 Huntsville is home to the Marshall Spaceflight Center, which is involved with propulsion systems (rocket engines), while Cape Canaveral (Cape Kennedy) is a launch facility. There’s also significant cross-expertise, and one shouldn’t get too locked into thinking about compartmentalization here. 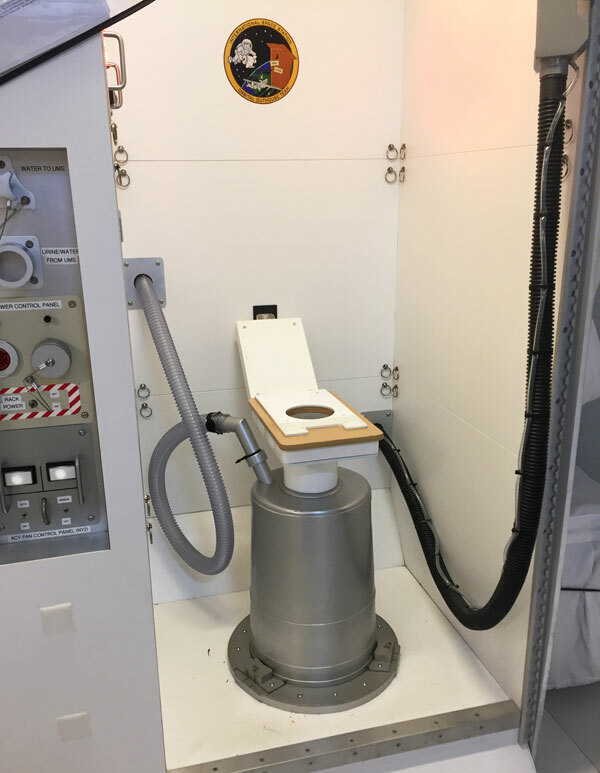 NASA is still a research and development organization and encourages collegial activities across facility boundaries and often beyond. A collection of historic rockets, including a Redstone with a Mercury capsule on top and a Saturn I with an Apollo Capsule on top. On the Right is a Jupiter-C with a model of America’s first-ever satellite on top. Marshall, though, is propulsion central. It’s located at the Redstone Arsenal, which began, as one would assume from the name, as a weapons depot. 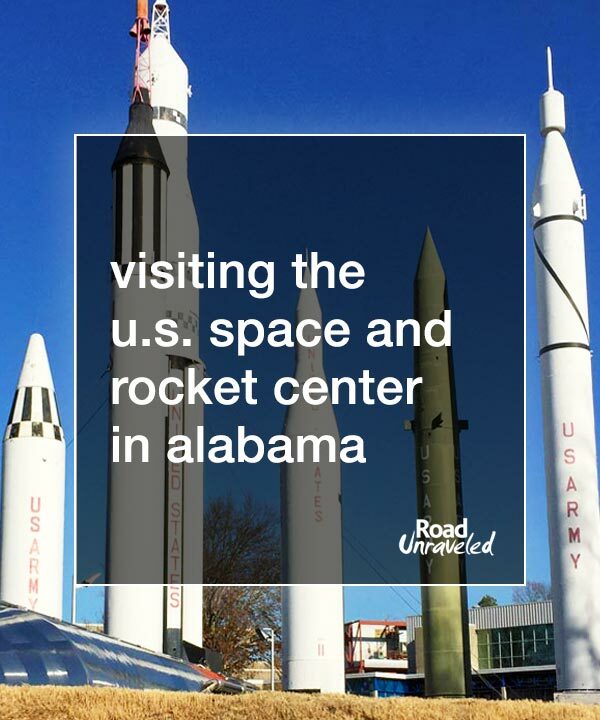 Tours of Redstone and Marshall themselves are available only under very limited circumstances, but right next door is the amazing U.S. Space and Rocket Center, which is one of the best museum/educational facilities I’ve ever visited. Now, we arrived on a very (very!) cold day in the middle of the week in early January, so the crowds were absent. But the layout is such that large crowds shouldn’t be a problem, although, as many of the exhibits are outdoors, a warmer day is perhaps advised. What can you see? 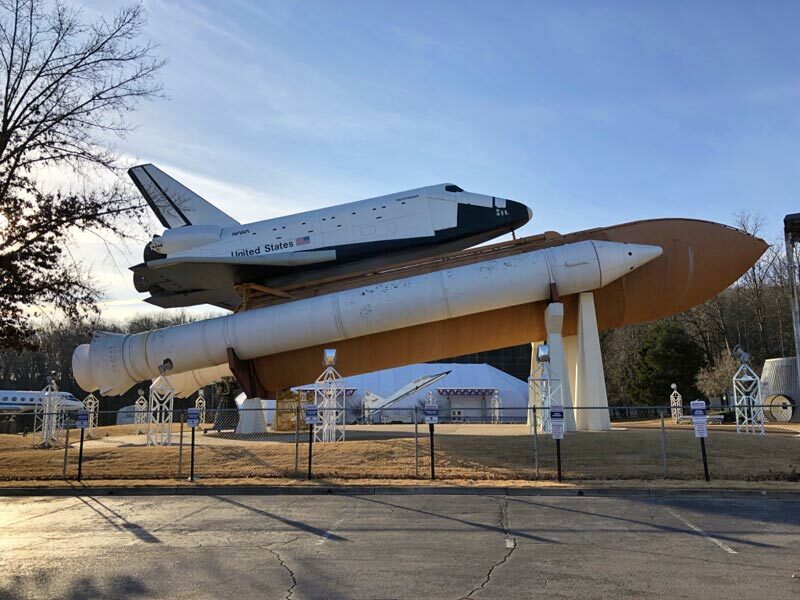 The outdoor rocket park has many historical rockets and other systems, including a full-size space-shuttle mockup, with external tank and solid-rocket boosters, and a full-size Saturn V that looks like it’s just about ready for a mission. 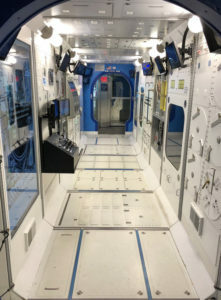 Marshall is heavily involved in the ongoing operation of the International Space Station, and there are mockups here to walk though as well as real-time data on display direct from the Space Station itself. 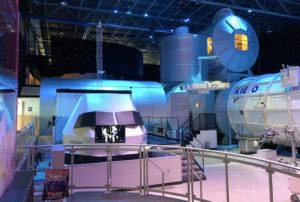 There are a variety of simulators available as well, along with an IMAX theater. To see it all, plan on a very full day. Most interesting for me was the separate Saturn V building. The Saturn V is the rocket that was purpose-built to take men to the moon, and the work (noted above) behind that was done right here at Redstone by Dr. von Braun and his team. Rockets are conceptually simple, and they were actually invented by the Chinese thousands of years ago – shoot hot gas out the back, and the rocket goes forward. But doing that, especially on the scale of a Saturn V, is tough, very, very tough. You’ll learn about the engineering challenges that absolutely had to be overcome and the many spectacular failures along the way (check out the film of a Saturn V first stage engine, the truly amazing F-1, exploding, and you’ll see what I mean). 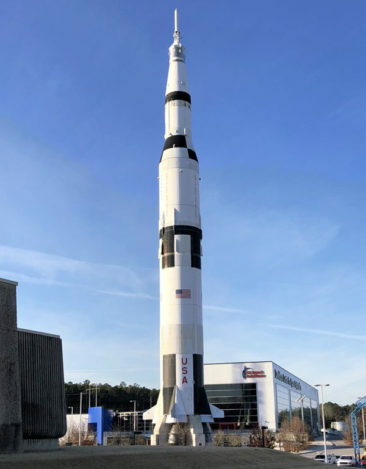 But just stand next to the Saturn V – the fully-assembled vehicle standing vertically outside the visitor’s hall, and the one horizontally separated into stages inside – and you’ll get goose bumps, guaranteed. I still get chills just thinking how small physically-fragile creatures like ourselves can conceive, design, build, and fly such things – awe-inspiring, indeed. And, for you engineers – the useful life of any given Saturn V is about five minutes. It consists (or so I am told) or around 270,000 individual parts. It must work flawlessly. And, by and large, it did. Other exhibits, if you can pry yourself away from the Saturn V, include large International Space Station modules, the Command Module from Apollo 16, a Lunar Module with Lunar Rover, and hundreds, maybe thousands of other artifacts, exhibits, and just plain amazing items. 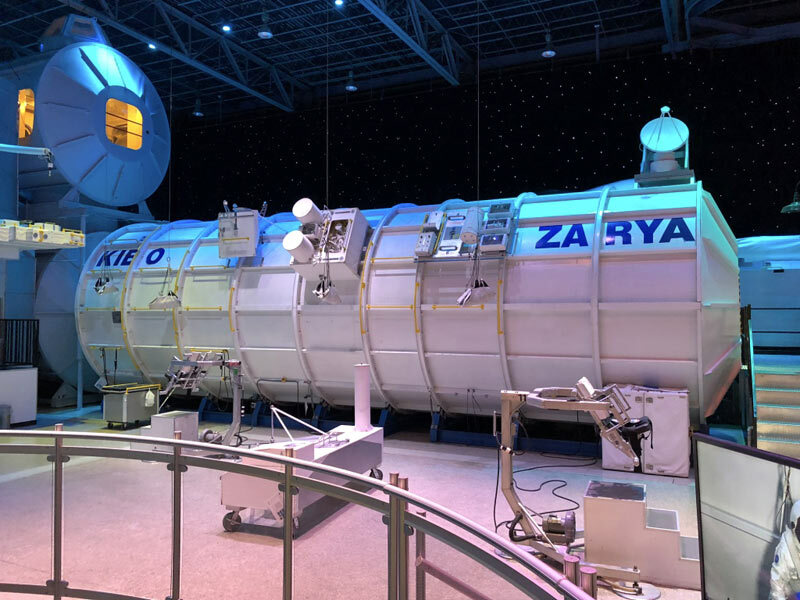 The local staff and docents are friendly and helpful – and they’re often veterans of the space program and/or engineers, so be prepared for some remarkable stories. Never been to Alabama? 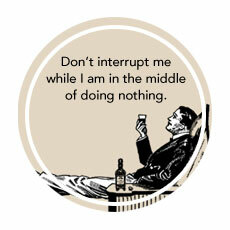 Well, here’s your excuse. 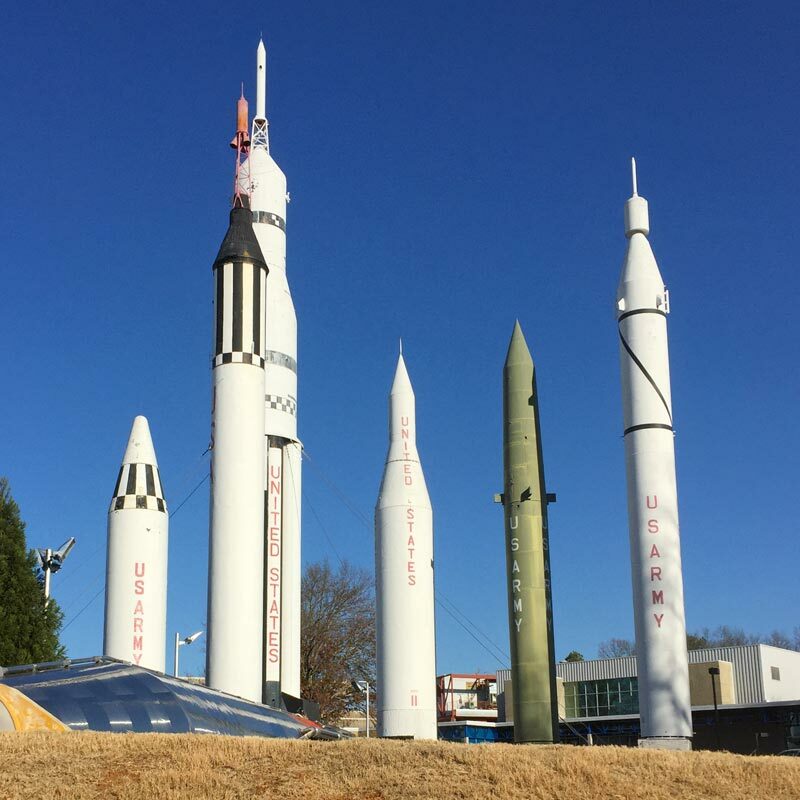 The U.S. Space and Rocket Center is just off the main highway, and admission is inexpensive. Go. Just do it. One of the best – truly, one of the best ever. As we noted above, the Kennedy Space Center is the primary launch site for the US space program, including many military flights and today a number of emerging private launch efforts like SpaceX. Located on the east coast of Florida in roughly the middle of the state, the Kennedy Space Center is easy to reach by car. That might, however, be the end of the good news. To be fair, we arrived on a weekday early in January of 2018, in pouring rain with an ambient temperature in the low 40s. In short, we probably should have bagged it given the conditions, but, hey, we’d reserved this day for this visit, so we plowed ahead. The ticket booth was jammed, so much so that the limited overhead coverage provided was oversubscribed and we would have had to spend additional time standing in the aforementioned horizontal rain and puddles. Fortunately (or not), there was a set of automated ticket machines not too far away that we found largely by accident (again, think cold driving rain), so we picked those. There seemed to be no line there (apologies to all the other cold, wet folks if we did in fact jump the line), and we proceeded to one of the machines. It was stuck on the German language, so it was back to waiting for one of the others to free up. Totally soaked at this point, we did find a machine in English, but were confronted by numerous choices and options with very limited descriptions of each. We settled on general admission – at $50! Not kidding here! Each! Plus tax! Excuse me, but this is outrageous, although given the surprisingly large crowds, perhaps a case of supply and demand at work. From there, it’s off to the security checkpoint – more standing in line, more getting soaked, and having to put personal items through the X-ray machine and walk through a metal detector. Yes, one of us had to remove her coat – in driving rain. This is simply outrageous – there’s that word again. From there, we picked what appeared to be a main entrance to an exhibit hall, but wound up waiting in line in – oh, you know, cold driving horizontal rain. I asked the man in front of us if this was in fact the main entrance, and he replied that he hoped it was. Signage? Nope. The Kennedy Space Center has to be the most disorganized, counterintuitive attraction I’ve ever visited. A brief stop at the packed visitor center to get map resulted in obtaining said map, but it proved to be useless, with only very limited information. We proceeded to what we assumed was another exhibit hall next to the Visitor Center, and we found that we had indeed arrived at some genuine exhibits. 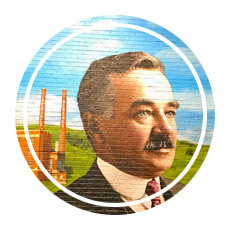 But this facility was devoted to ancient history, specifically regarding native Americans, French explorers, and possibly others – it was hard to tell, since the building was packed beyond-fire code limitations to be sure. I’m sorry, but unless those native Americans or French explorers arrived by rocket, this exhibit is woefully out of place and even inappropriate. Again, a lack of signage worked against us. 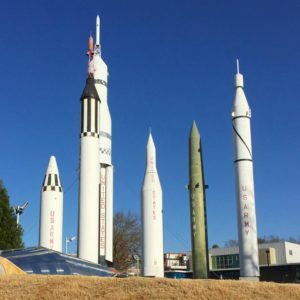 We did see an outdoor exhibit of rockets similar to (but perhaps not as good as) Huntsville, but we didn’t explore this as we were now really soaked and irritated. We instead decided to cut out visit short rather than proceed with more walking in the driving, cold, horizontal rain to unknown exhibits of similarly indeterminate interest. In short – what we had here was a complete mess. Being an adult, I’m going to assume responsibility for this epic fail. What did we do wrong? Well, for starters, we shouldn’t have visited on a day with such poor weather – but we had no way of determining if such might be an issue, as past experience with visitor centers of many forms worked against us. If it ain’t bright and sunny, we encourage you to reconsider any plans that you might have with respect to this location. And, next, we did not plan our visit in advance, not that such would have mattered much again given the previously-noted weather issues, because we’ve never felt the need to do so before. I’ve never carefully reviewed or planned out a visit to a museum, NASA facility, or similar before. This time, we got hung by that oversight, and we won’t make that mistake again. 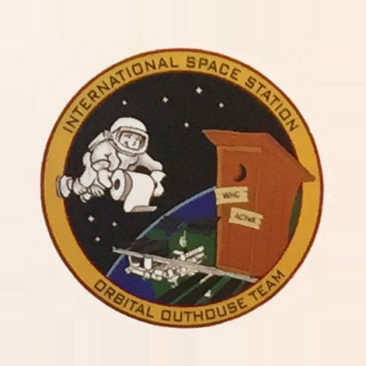 And, of course, we should have bagged the visit altogether, but we got hung here by our own expectations: we had reserved this time for this purpose, and we won’t be back this way any time soon, not that we’d return to the Kennedy Space Center. A little more advance planning and simply considering the weather here could have avoided the whole mess altogether. And this whole mess included a wasted non-refundable reservation for a beachfront hotel in Daytona Beach for that day, which would have been lovely had there actually been beach weather, and we had not decided to bag our misadventure at 1:00 in the afternoon. We instead decided to head north right away, and therein lies another epic fail, which we’ll cover in an upcoming column. 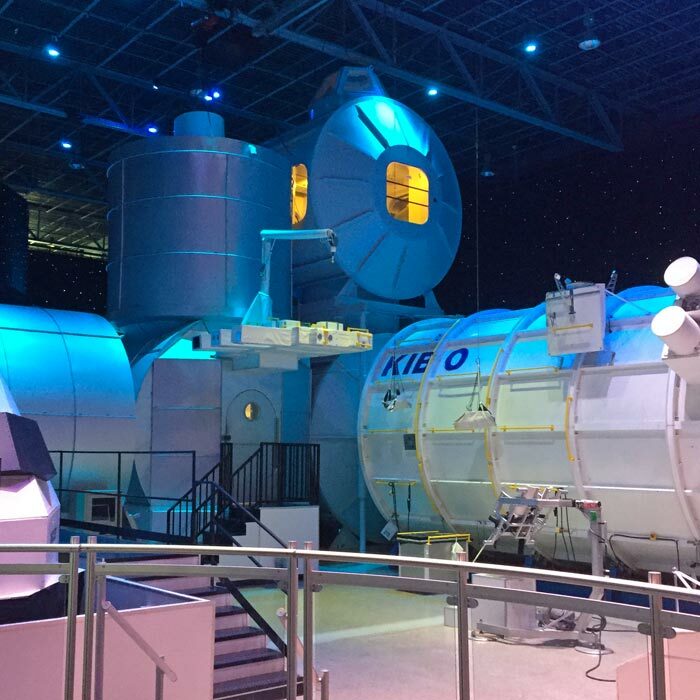 This is in no way to excuse the Kennedy Space Center’s poor facilities, layout, lack of signage, or related failures. These guys are clueless, and their overpriced venue isn’t worthy of your time. 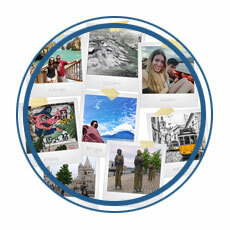 Skip this one – there are many other roads to unravel, so why waste your time here? 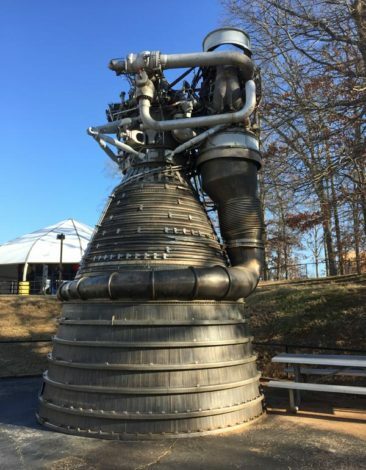 An F-1 engine, five of which powered the Saturn V.
SR-71. 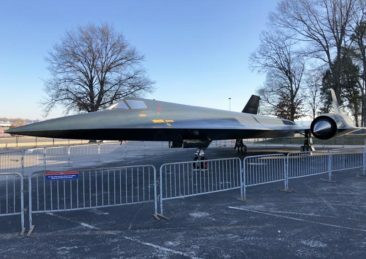 The fastest plane ever built. 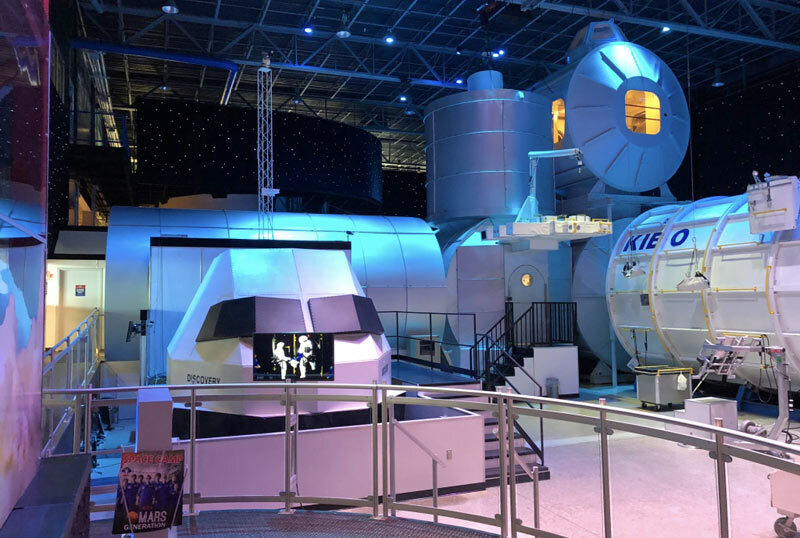 Are you planning a trip to see the Marshall Spaceflight Center? 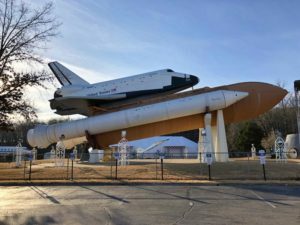 Here are some hotel deals in Huntsville. Looking for more guest posts? 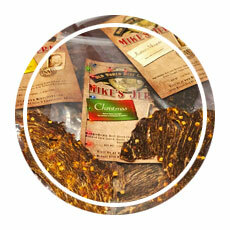 Here are a few more to take a look at!